In the cargo services and other heavy duty trucks, safety is the main factor when it comes to the loading and unloading. In order to transport the items safely from one place to another destination which is far away about hundreds of kilometers from the source, everybody requires a cargo lashing belt to protect the products. The cargo lashing belts for the cargo should be high quality belts which offer greater lashing during the loading and unloading processes. 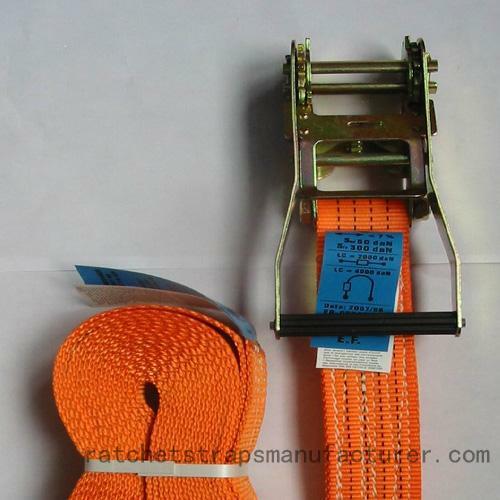 These kinds of lashing belts are the best known for the durable construction and high strength. The most essential feature of this lashing belt used in the loading service on the truck or any other heavy duty vehicles will be high linear strength, robust construction, resistance against abrasion. The leading ratchet straps manufacturer, Ningbo Welldo Tools, is providing a wide range of cargo lashing belts in the varied sizes such as 1 inch or 25 mm to 4 inch or 100 mm. The lashing capacities of the belts are also ranging from the hundreds of kgs to the thousands of kgs. There are the two parts in this system which will be the short part and also long part along with the tensioning device. The tensioning device will be on the short part and the users can also see more numbers of end fittings or hooks for the loading processes.